So the whole point of this challenge (hosted by Lark at The Bookwyrm's Hoard) was to finally read some of those older books that have been piling up on your TBR pile and TBR list. Which made it a great challenge for me 'cause I've got a pile of books in my room waiting to be read and an even longer TBR list of book titles I've been meaning to read for years. The best part of this challenge is that I got to set my own goals for it. So last January, I picked ten books from my TBR list that I wanted to read in 2017. Thanks, Lark, for hosting this challenge! I had a lot of fun...and I read some books this year that I probably wouldn't have read otherwise. My favorite of the eight: The Radleys followed closely by Dance Night and Wash This Blood Clean From My Hand. P.S. 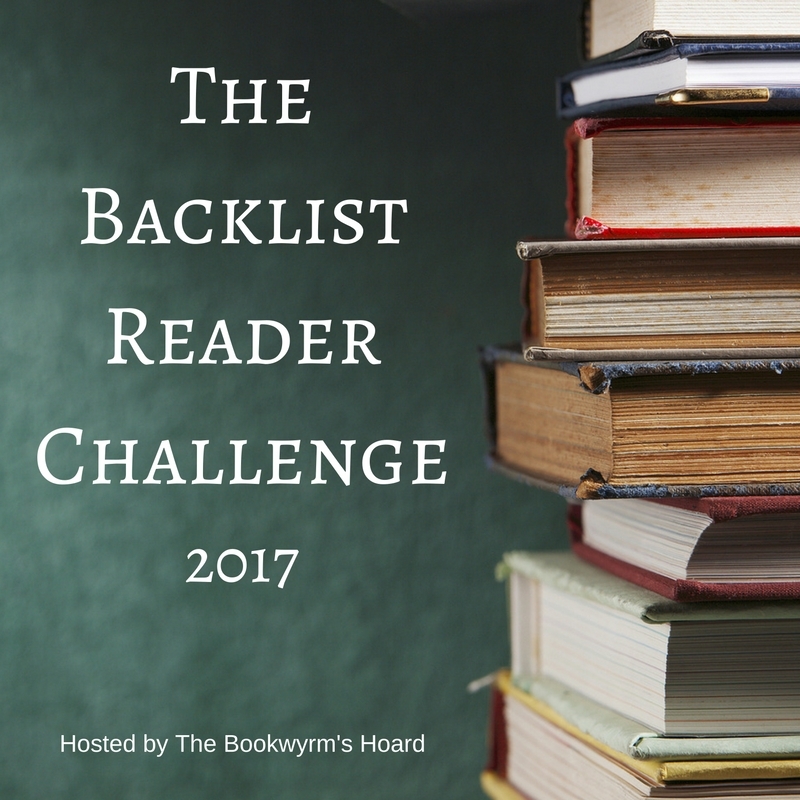 I should probably repeat this challenge again next year because I have a new stack of books piling up in my room and even more books I want to read on my TBR list. It's a neverending bookish mountain that I seem to be climbing. Congratulations on completing the challenge! I'm always looking for ways to tackle the TBR stacks. I did not do well this year, though I'm currently reading a book I've had since 2010. Nice! I always sign up for challenges, but I never seem to actually complete them. Good job on getting 8/10. That's great! I have a hard time completing challenges, too. Take this one. I could set my OWN goal for it, and I still didn't finish it. But it's okay. Maybe next year. I haven’t seen this challenge but I need it! You should see my unread bookshelf. It takes up a whole wall floor to ceiling. I need help. Congrats on reading 8/10. And you still have a month if you wanted to squeeze in two more. You did great, Lark! I am starting to think about whether I want to participate in any challenges this next year. I've enjoyed my challenge-free year quite a bit, but some of the challenges out there are tempting me . . .
Way to go! That backlist of books on the shelves can produce a combination of guilt and stress, so getting those read is an accomplishment in more ways than one! Why is it so easy to buy the books we want to read, and so hard to actually find the time to read them all? I hear you on the library temptation! That siren call! :D It's something I find almost impossible to resist! That's awesome you got 8 of your old TBR list read! :) I'm working on my Netgalley TBR which feels endless. Well done! I have a giant Word document with all the books I want to read. I notice that a lot of books get read towards the end with the new releases. Those first few pages don't fare quite as well! You should! It's worth reading. :) But I know what you mean about the more recent releases always seeming to take precedence over older titles on your TBR list. It happens to me, too.